Is your inbound marketing campaign ready to launch? 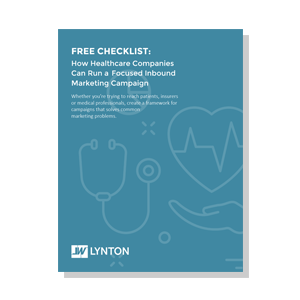 Whether you're trying to reach patients, insurers or medical professionals, this inbound marketing campaign checklist will help you create a framework that helps solve common marketing problems. Fill out the form to download the complete checklist of mission critical campaign tasks today.